Dr. Gustav Frederick Nemitz,1 born December 19th, 1887 in Stolp, Germany,2 was a professional baseball trainer with the Detroit Tigers from 1941 to 1943. He lived in Hot Springs, AR, during the 1910s. In subsequent years, Nemitz became a chiropractor and established practice in Fort Worth, TX. In 1929, his expertise helped baseball player Pie Traynor recover from a hip injury.6 Through similar cases, Nemitz became recognized for his treatment of athletes, and in 1940, he was hired as an assistant trainer by the Detroit Tigers.7 The following year, when Tigers' trainer Dennis Carroll retired, Nemitz was hired as Detroit's full-time trainer.8 Nemitz remained with the Tigers until after the 1943 season when he resigned and was replaced by Detroit Lions football team trainer Dr. Raymond Forsyth. 1. Name as spelled by Nemitz in signiture on WWII Draft Card. 2. Nemitz' WWII Draft Card. 3. Sources indicate that Nemitz immigrated at age 18, which would have been in 1905. Ellis Island records show that a Gustav Nemitz, age 18, immigrated from Stolp, Germany aboard the Kaiser Wilhelm II and arrived in the United States on November 2nd, 1905. 4. Nemitz' WWI Draft Card. 5. 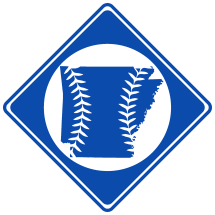 In Pie Traynor: A Baseball Biography , authors James Forr and David Proctor suggest that player Pie Traynor knew Nemitz from their mutual time in Hot Springs. 9. Nemitz' Texas Death Certificate.